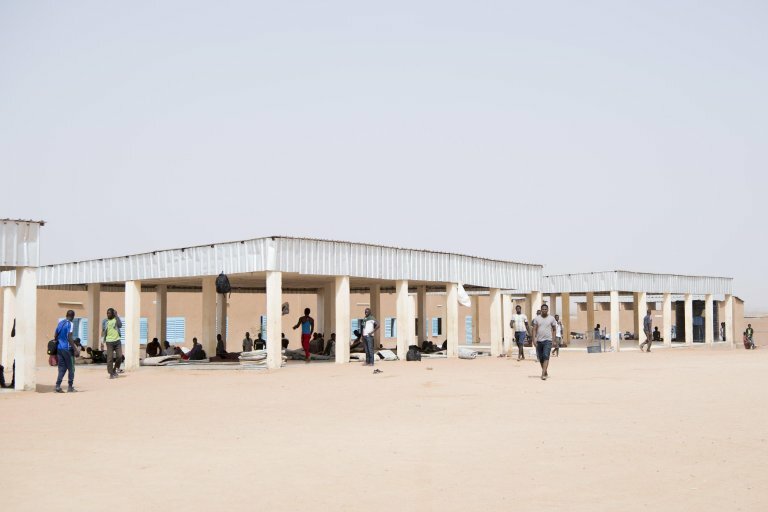 Thousands of migrants from West Africa who are currently in Niger have endured torture and trauma while attempting to reach Europe, Doctors Without Borders (MSF) reports. The organization's clinic in Niamey offers medical assistance to migrants. Thousands of migrants who are currently in Niger have been expelled from Algeria, are returning from Libya or are traveling north to reach Europe, Doctors Without Borders (MSF) reports. The organization stressed that these people have endured abuse and expulsions as a consequence of the management of migrant flows in the region, which is supported by the European Union. MSF offers medical assistance to migrants in Niamey, the crossroads of migration routes. However, the organization noted that ''migrants have a hard time receiving adequate medical assistance when they reach Niamey." Migrants have to abide by certain conditions in order to get medical care, MSF said. ''Before getting any type of help, they must give up on their migration plans - even when they are caused by situations of violence and danger - and voluntarily adhere to a program of IOM (the International Organization for Migration) to return to their home country voluntarily'', said the head of the organization's mission in Niger, Abdoul-Aziz O.Mohamed. MSF said in a statement that impromptu camps have been set up around the overcrowded transit centers of the International Organization for Migration. Migrants stay there for weeks while awaiting to be registered by IOM as migrants who are willing to be repatriated so they can receive medical care provided by the organization or its partners. MSF noted that as European countries ''are doing everything they can to reduce the number of asylum seekers, refugees and migrants reaching their borders, voluntary repatriation programs are increasing significantly: over 10,000 people have left Niger in the first half of 2018." Migrants are pressured into the programs ''even if it means ignoring international protection requests due to abuse endured during journeys that are becoming increasingly long and dangerous due to the shutdown of borders and the criminalization of migrants," the organization said. The organization's mobile clinic provides daily care across Wadata, a district of Niamey known for its bus terminals and hostels used by migrants during their travels. Overall, between May and November 2018, MSF's medical staff carried out a reported 4,500 consultations. According to IOM, over 60,500 people have entered Niger during the first months of 2018. Some crossed the border near the village of Assamaka. Abandoned in the desert by Algerian authorities, they were forced to cross the river several miles away. ''Assamaka is often mentioned'' by migrants, said Haig Nigolian, a doctor who works for the mobile clinic. ''They often describe the experience as heartbreaking and traumatic. Being abandoned in the desert without food or water and seeing people die on the road leaves an indelible sign''. (Picture shows ).